To nurture a child’s sense of safety and trust, we provide gentle, loving, collaborative support that respects the child and his/her needs. Our classrooms are soothing and invite exploration. 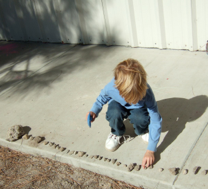 To nurture a child’s learning, our curriculum emerges from the child’s interests and investigations. We ask intentional questions and encourage meaningful experiences that scaffolds the child to their next level of understanding. To nurture a child’s learning path, we draw from a variety of educational philosophies and current leading-edge research, in conjunction with our own observations and knowledge. We reflect and document as we work and play in partnership with the children. To nurture a child’s sense of identity and relationship to his/her world, we provide children with sensory-rich, hands-on experiences. We educate children through their senses. To nurture a child’s sense of self-respect and self-worth, we model, teach and encourage values and social justice. We explore our community and invite our community into our school. We take part in both community and global service projects. 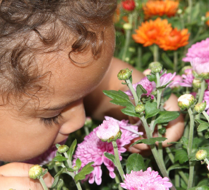 To nurture a child’s sense of belonging and wonder, we spend quality time outdoors investigating our natural world. We connect to our appreciation of and responsibility for our environment and sustainable practices. To nurture the whole child, we help them grow the skills and tools they will need to thrive in an global society that requires innovative, imaginative thinking and the ability to problem-solve. ChildCore PreSchool believes that each child’s emotional, physical, social, creative and academic development is unique. We believe that every child has gifts, dreams and ideas of value and importance.